The Loveland ski area is one of Colorado's most popular day ski destinations. It is just a short drive from Denver and Boulder which means that day trippers can drive to and from the slopes without the hassle of the traffic that others experience if they head further to Summit County. Loveland is a combination of two different ski areas, Loveland Basin and Loveland Valley, which are connected by a bus. It is one of the highest areas in Colorado, with an incredible summit of 13,010 feet. Loveland is one of the only ski areas in Colorado that hasn't been turned into a big, sprawling resort. As a result it offers less-expensive lift tickets and shorter lines than you would find at Vail, Keystone or Breckenridge. Loveland was opened in 1936 by J.C. Blickensderfer who installed a portable tow rope in Loveland Basin. A year later, Al Bennett took over operations and used a modified Model T Ford to power the rope tow. Four years later the area was officially named Loveland Ski Tow Inc., and over the next decade the area added three more tows. Throughout the 1950s and 60s several changes occurred, including the first chair lift, which was added in 1955. The second chair was added in 1957 and a cafe was also built. During the late 1950s and 60s, Eisenhower Tunnel (which connects I-70 straight through to Silverthorne) carved right through the middle of the ski area. However, Loveland pushed forward with the installation of chairs three and four. In the 1980s and 90s, several upgrades were installed at Loveland. They expanded lodge facilities in the Valley area in the 80s and in 1995 the Basin's lodge was remodeled and expanded. Loveland Basin is larger than Loveland Valley. It has six out of the eight lifts and 85 percent of Loveland Ski Area's total skiable acres. The Basin has a ton of terrain above timberline and features a vertical drop of 2,410 feet. The lodge at the base of the Basin holds the ticket area, a ski/snowboard rental shop, retail, ski patrol, and a nursery for those with small children. The Ridge @ Loveland is just off of chair number 9, and sits at an 12,697 feet. Skiers can hike to the 13,010 foot summit. This acreage is almost entirely black or double black runs. Loveland Valley ski area is more geared towards beginners and intermediate skiers. With only two lifts, this part of Loveland is more gradually sloped, and is the base for the area's Ski and Ride School. There is a smaller lodge building that headquarters the Ski and Ride School, a rental shop, ticket office, cafeteria, lockers, and a bar and retail space. 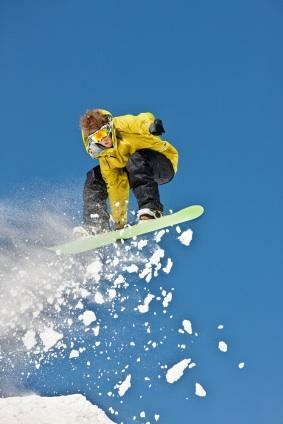 There are a wide variety of ski and snowboard lessons available to choose from. Lessons for adults range from instruction for adults who have never skied or snowboarded before, to advanced athletes who are looking to refine their technique. Adult lessons run two and a half hours, beginning at 10:00 am until 1:00 pm. Half day lessons are $50.00, or you can choose the full package with a half-day lessons, a full-day lift ticket and equipment rental for $75.00. Ages 4 and 5, Levels 1 through 7, skiing only: This is an introduction to skiing. The program requires a reservation because space is limited. Ages 6 through 14, Levels 1 through 9, skiing and snowboarding: These classes separate groups by age and ability. Some skiers and riders in Levels 4 and above often have the opportunity to ski or snowboard at Loveland Basin. The 3-Class Pass is for all kids and beginner adults. It offers three classes for those who have never tried skiing or riding before. With this pass you and your children can learn how to ski and snowboard and receive a free season pass. For the 3-Class Pass, you simply sign up for three ski or snowboard lesson packages, which include lessons, all-day lift tickets and equipment rental. Once you have completed the third lesson you receive a free season pass to Loveland. In addition to providing a variety of group lessons, there is also the option of taking private lessons, which are available for all ages and abilities. There is a maximum of four people per lessons, which means you will receive hands-on attention and maximize your time with the instructor. Loveland also provides Family Private lessons, which offers lessons for up to four members of a family. These lessons are two hours long, and are for first time lessons only. Loveland is a place that is perfect for those who just want to take a quick day trip to ski or snowboard some of Colorado's best powder. It is also a spot where the whole family can spend some time practicing their skiing and snowboarding abilities. There is plenty of varied terrain that will appeal to everyone.